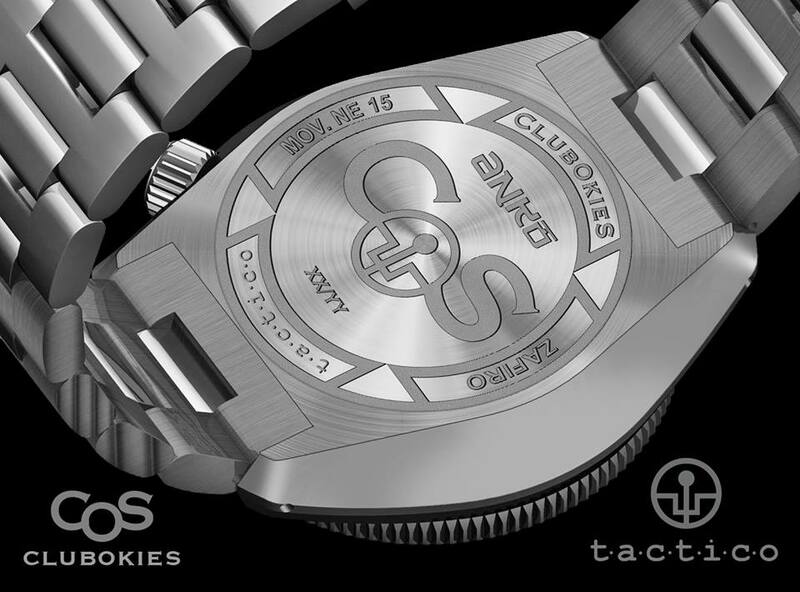 Spanish watch brand TACTICO unveils a special edition diving watch in association with ClubOkieS, the Spanish watch forum of Seiko lovers. 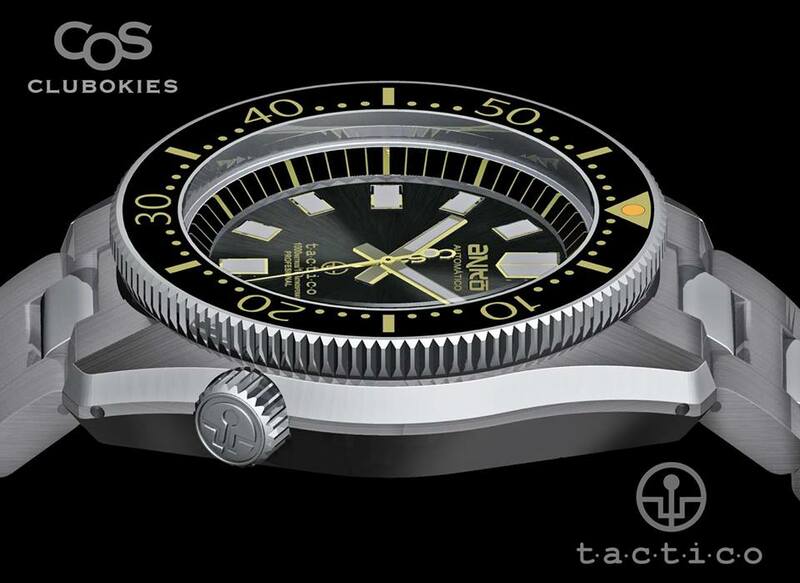 For this project TACTICO has revised the original SEIKO 6159-7001, aka “Grand Seiko Diver” or “Seiko Holy Grail” and created the limited edition TACTICO ANKO 1000M, a tribute to the most spectacular, historical and difficult to find Seiko diver watch. Exteriors of the watch – case, crown, case back cover and bezel – are made of 316L stainless steel in brushed and polished finished. Measuring 43.5 mm diameter, the case of the watch also features bezel inlay and main crystal made of sapphire, and Viton and tefzel gaskets for ensuring high water resistance. The Dark grey soleil dial features applied indexes, date window frame at 3’o clock and ANKO name applied below 12’oclock. Hands and indexes are employed with BGW9 Superluminova and to ensure time reading during poor light conditions. Bezel markings use Dark yellow Superluminova. This professional grade diving watch is tested for a water resistance up to 1000 meters. 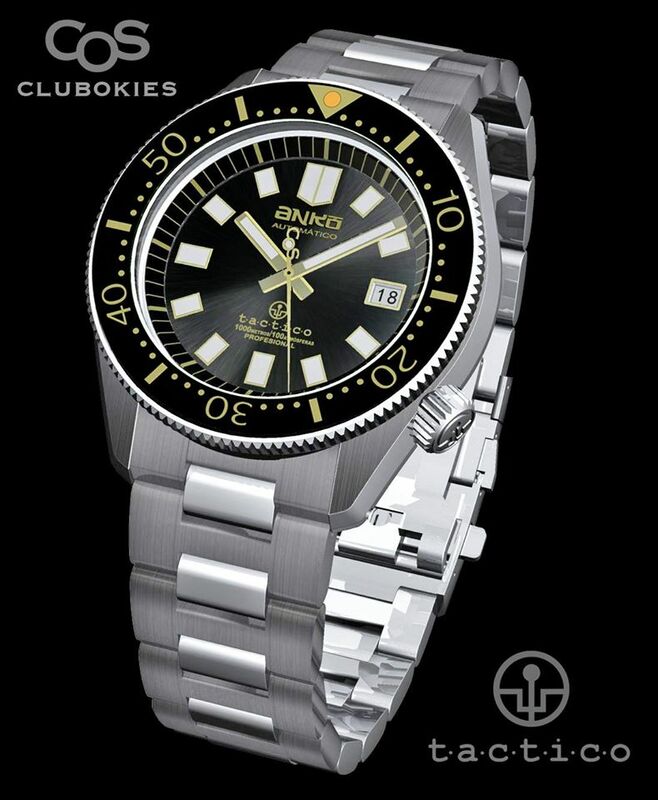 The TACTICO ANKO 1000M houses a TMI SII NE15 automatic movement manufactured by SEIKO. 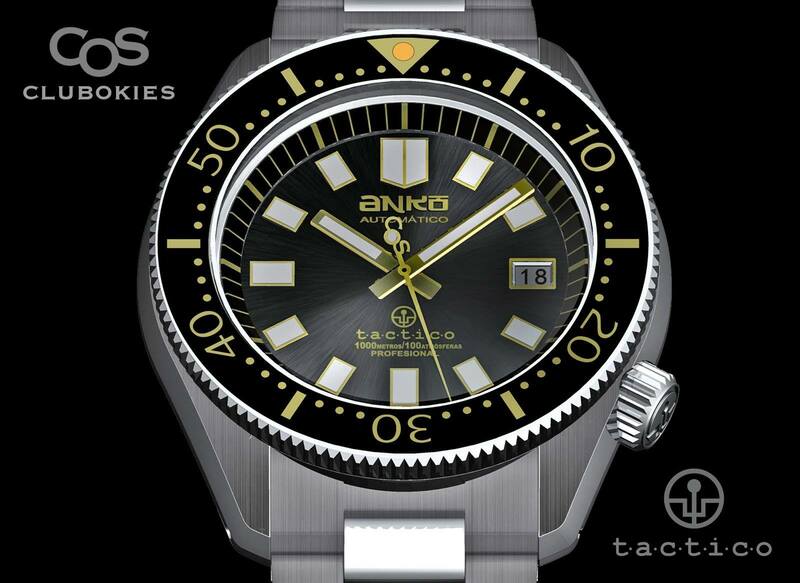 The TACTICO ANKO 1000M is available for 475 Euros for non European residents. European residents must add 21% of Spanish VAT. Crown and case back cover screwed down. Double domed sapphire crystal with AR on inner side.